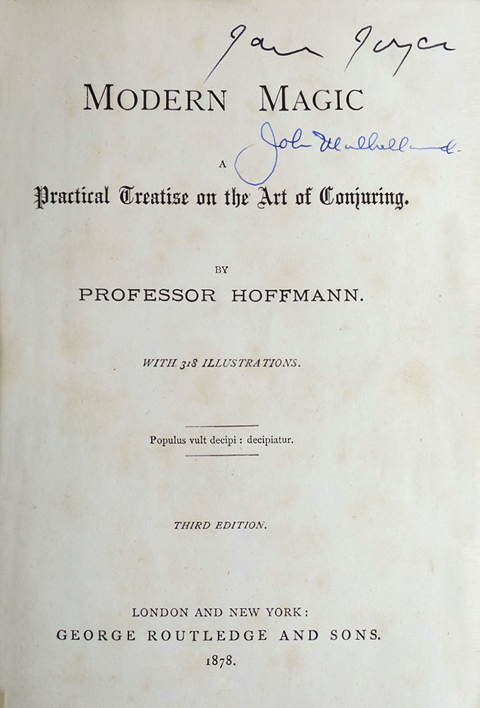 Modern Magic [2006- ] fictionalizes the convention of the owner-signed book on the opening pages of one of theatrical magic’s most influential volumes, Professor Hoffmann’s ‘Modern Magic’ . 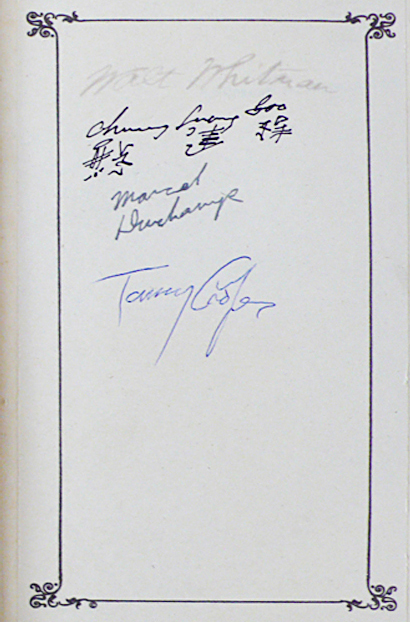 On one frontispiece, the book's consecutive 'owners' include Walt Whitman, the Chinese conjuror-impersonator Chung Ling Soo, Marcel Duchamp, and magic's anti-hero Tommy Cooper. Another draws together James Joyce and conjuror-to-the-CIA John Mulholland. These highly improbable, although chronologically plausible lineages suggest encounters between artists and artistes that playfully challenge culturally hierarchic accounts of modernity.